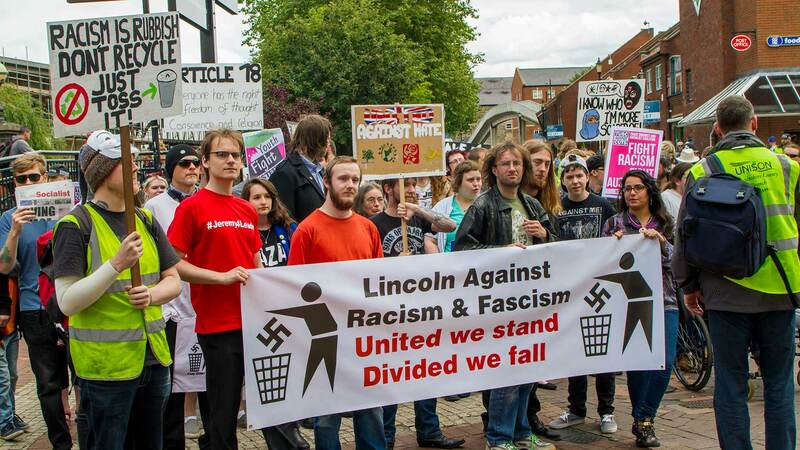 No arrests were made as two protests held in Lincoln city centre went off without major incidents on July 25. 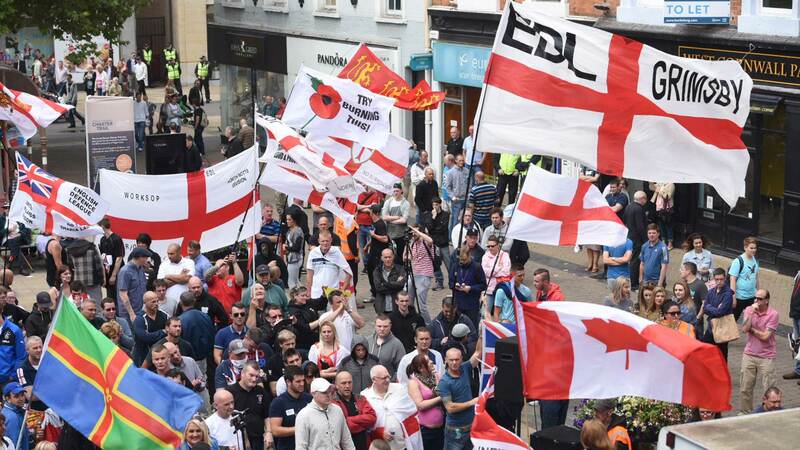 Between 150 and 200 English Defence League members from across the country came to Lincoln to make known their objections to the construction of the city’s first ever mosque. Police led the EDL who were singing “no surrender” and “burn the poppy, burn the mosque” from the Blue Anchor pub on High Street to the Cornhill. From there, the protesters listened to a range of speeches, including one from Canadian EDL supporter Kelfitzi. Officers from Nottinghamshire, Derbyshire, Leicestershire and Northamptonshire were on hand to assist Lincolnshire Police in preventing any trouble. Lincolnshire Police Chief Superintendent Stuart Morrison said: “From a police perspective it’s been a successful operation – there’ve been no arrests and the operation has passed off peacefully. Look back over our live blog to see how the protests unfolded. Also, check out our gallery containing over 70 photos from the demonstrations and rewind our live blog.